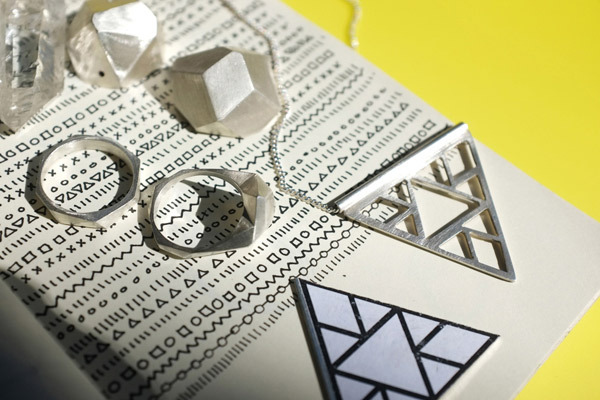 FK chats to Ida from Brisbane based jewellery label Idamari, debuting at the upcoming Brisbane markets! Can you tell us about your lovely label and what we can expect to discover? 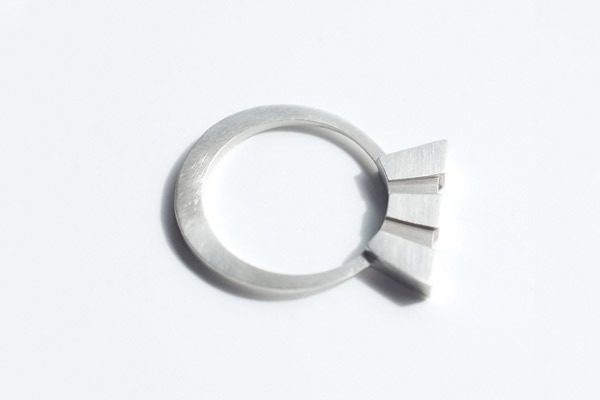 IDAMARI is my newly started jewellery label; it features contemporary, minimal and playful pieces including sterling silver rings, pendants and earrings. I chose to use my own name, Ida Mari, for this label because it is such a personal thing for me; I have worked on each piece with my own hands, and hopefully other people like to wear them on their hands! What is your background and how did you get started working with jewellery? It’s funny how things evolve. I came to Australia three years ago for love, I had just finished my degree in Product Design in Norway, and started working in fashion photography. Since then I have worked in graphic and communication design. 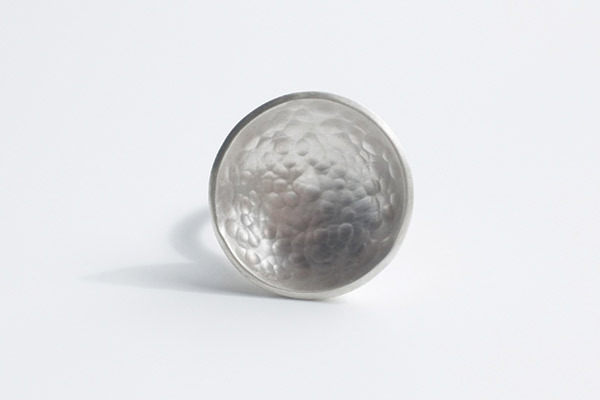 I first began learning the art of silversmithing purely to explore my own creativity and to craft my own jewellery. I received good feedback, which motivated me to start my own label. Living in a house with two other designers, the talented Sarah Ware and Erin Lightfoot, has been very inspiring for me. There have been many creative discussions over red wine, evenings spent drawing and sharing our ideas and weekends building our own studio in the basement. Jewellery making has become an important part of my life. 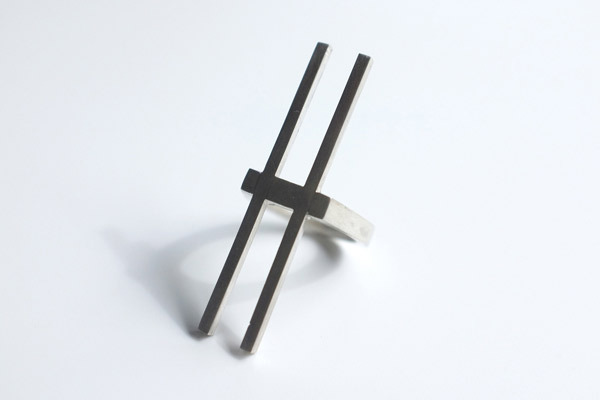 Most of my spare time is now dedicated to fashioning rings, pendants and earrings that experiment with light and shadow, graphic expression and the meeting between forms. Now I have fallen completely in love with silversmithing and I can’t imagine what life was before it! My influences range from artists and designers such as Alexander Calder to Paula Scheer, and from modernism to Wabi Sabi. I draw a lot of inspiration from shapes, patterns and imperfections in the urban and natural environments; the raw beauty of the in-between places in the city captivates me. Capturing these little moments and spaces through photography is an obsession of mine. In my design work I am interested in exploring the relationship between light and shadow, graphic expression and simplicity, traditional and contemporary. For me coming from Norway, I love the climate and the casual lifestyle in Brisbane! I love how friendly everybody is, even the bus drivers! and the friends that I have made here. Coffee at Phil’s and living in a Queenslander with a back deck facing a jungle full of rainbow lorikeets is a very special part of my life here. What do you love about working with jewellery? And what are some of the challenges? Creating my own jewellery label, I have been given the chance to fuse my passions into one; designing, drawing, photography and typography. I love working with my hands and enjoy being in charge of the whole making process, from start to finish. I admire the longevity of jewellery made from precious materials such as gold and silver; they have a promise of something forever lasting. I also like the fact that the materials have a value on their own, having been used as currencies for centuries. 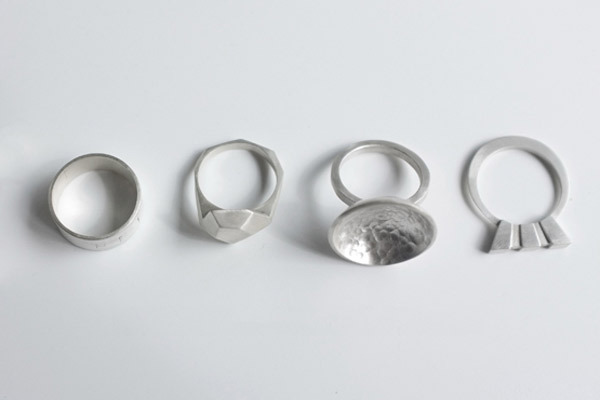 Jewellery making provides a space to look at basic elements of jewellery and reinterpret it in a new way. Further down the track I would really like to push the boundaries; at what point is the ring no longer a ring? Silver does have its challenges though! It is quite labour intensive, every piece takes many hours. What can we expect to see from Idamari at the upcoming Brisbane, Finder Keepers? The Brisbane Finders Keepers markets will be the launch of my first collection. 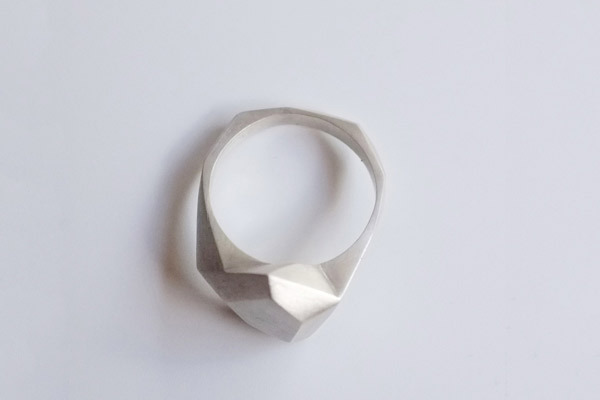 It will feature an assortment of silver rings, necklaces and earrings incorporating faceted and angular planes inspired by crystal configurations. I am really exited to show my pieces there as it has been a goal of mine to be a part of these lovely markets and I hope the Brisbanites will enjoy them.